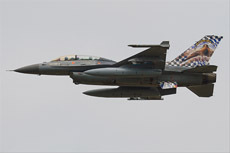 On Thursday, August 27, I was a guest at Gilze-Rijen Airbase in the southern part of the Netherlands. 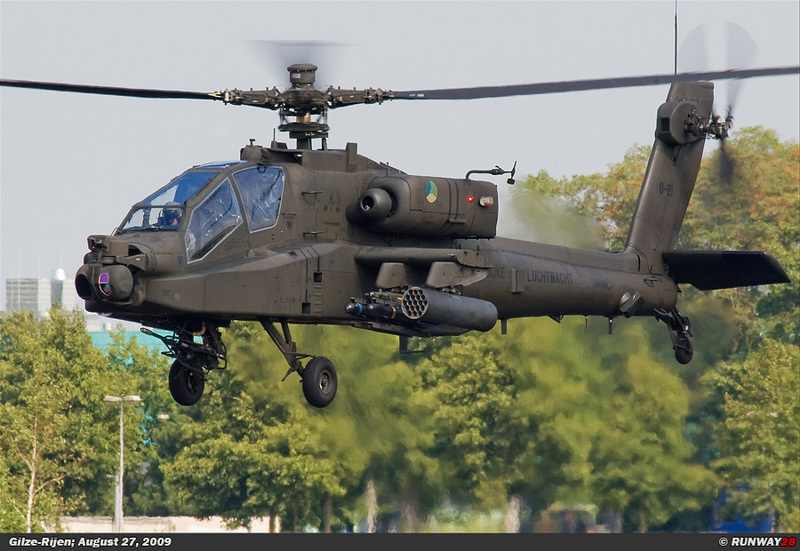 Gilze-Rijen is the home base for most of the helicopters of the Defense Helicopter Command (DHC). 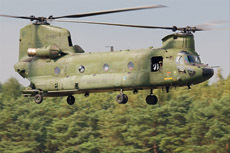 Up to three operational squadrons are based at Gilze-Rijen; they fly the Apache, Chinook, Cougar and Allouette III. 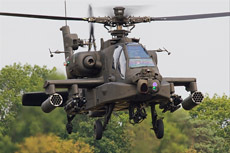 The Defense Helicopter Command (DHC) was founded in 2008. The Dutch Ministry of Defense started a study in 2001 under the name "full military helicopter capacity". 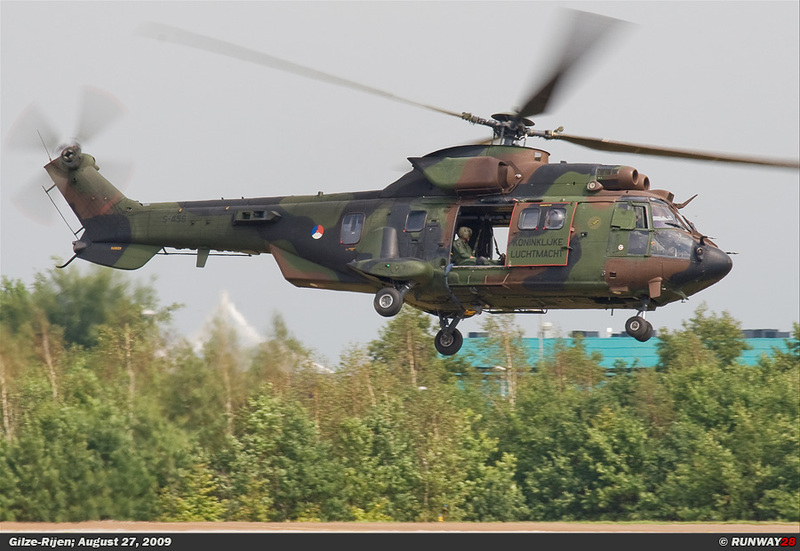 The goal of this study was to see if it is possible to merge several helicopter units of the Dutch defense. 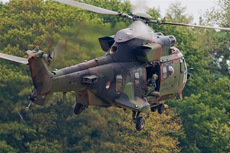 Both the helicopter units of the Royal Netherlands Air Force (KLu) and the Air Mobile Brigade (LMB) of the Royal Netherlands Army were involved and the helicopters units of Royal Netherlands Naval Air Service (MLD) of the Royal Navy. 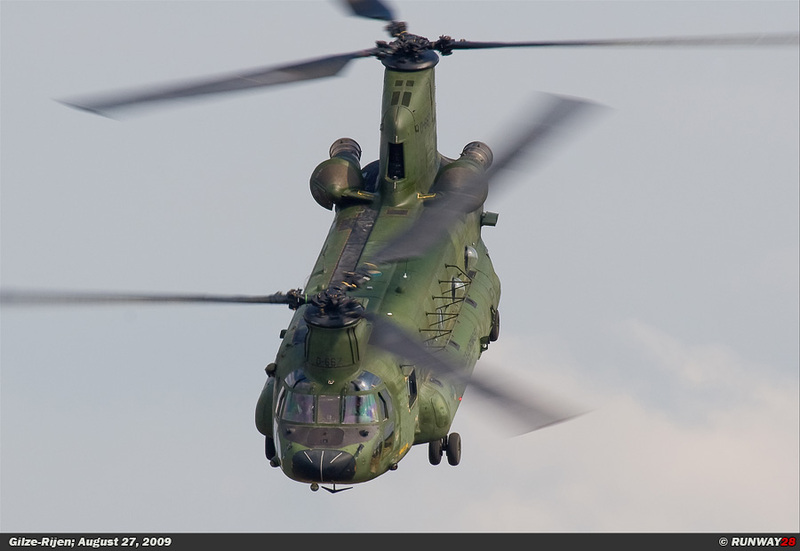 They considered a possible defense wide helicopter command in which all the components could work more efficient. Because of many cuts in funds and the increasing demand for helicopters in crisis areas, the government decided in 2005 to set up one helicopter command for the entire military organization. In the past, each component of the Dutch defense owned a helicopter force. 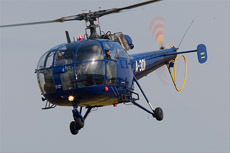 The Army had the Light Aircraft Group (GPLV) for observations by artillery gunners. 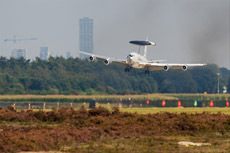 The air base of Deelen and Soesterberg were used by the Light Aviation Group and these fields were property of the air force. 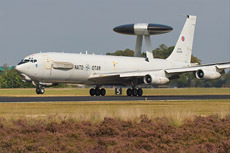 The Naval Air Service had its own camps from which they operated, namely De Kooy Den Helder and Valkenburg. 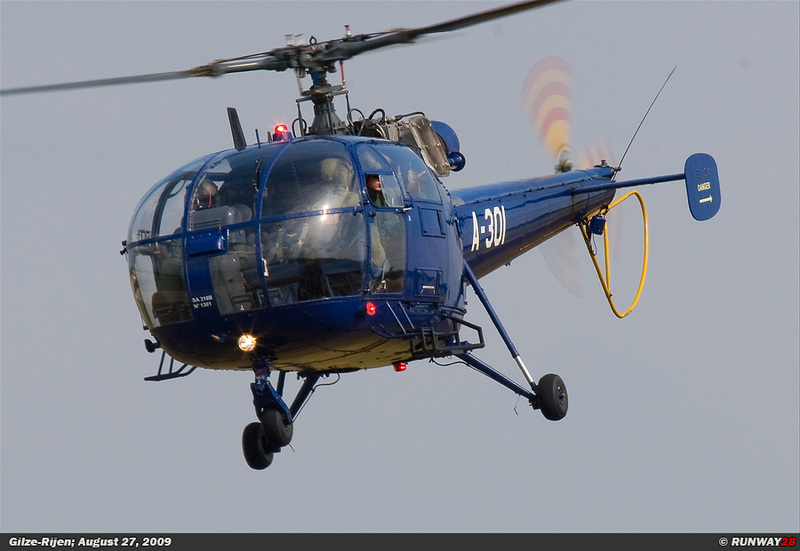 Off course they also have helicopters on board of their ships. 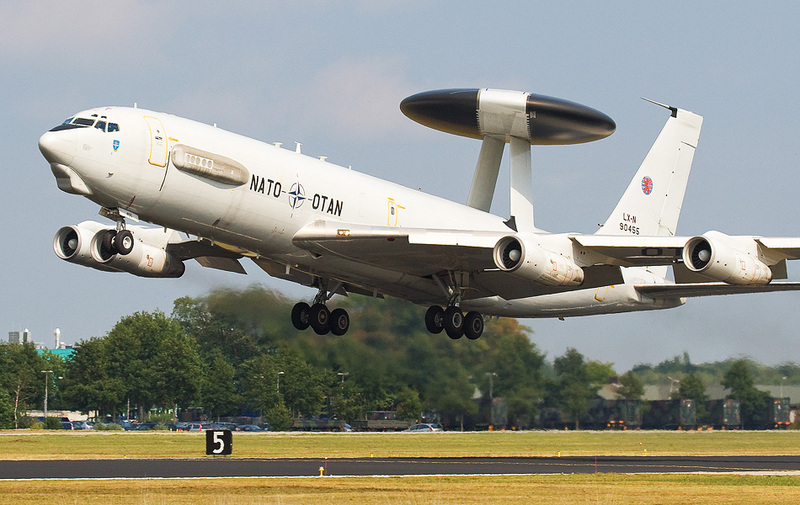 In all those years, these components were reduced due to several cutbacks and reorganizations. 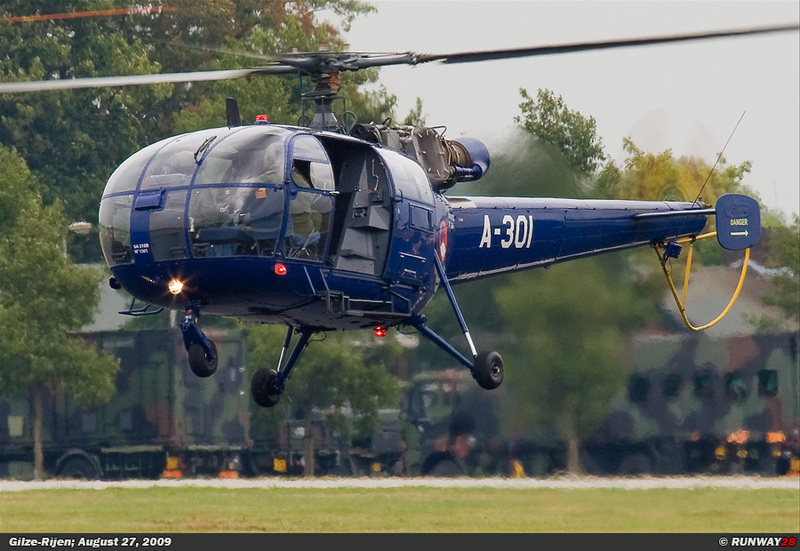 The GPLV was in the early 90s of the last century transformed to the Tactical Helicopter Group of the Royal Netherlands Air Force (THGKLu). 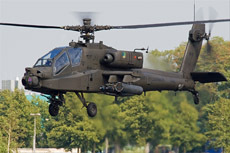 When the artillery observation was disbanded, the entire helicopter fleet moved to the air force. 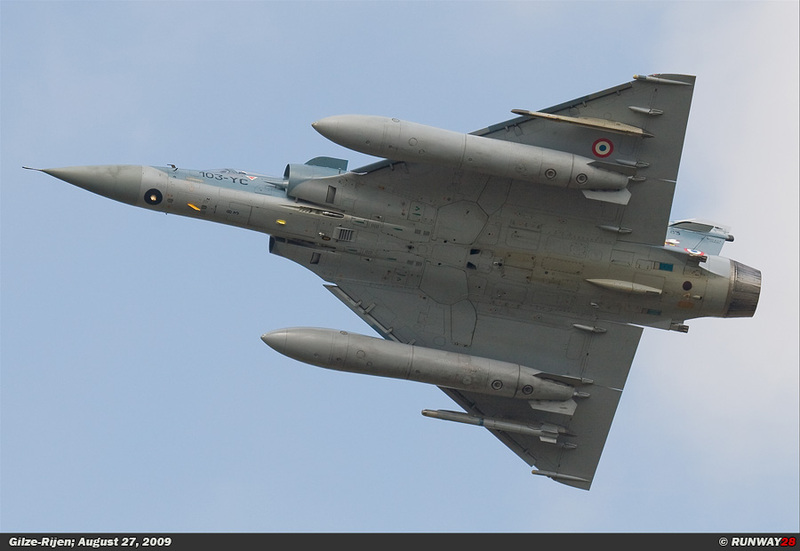 The MLD was several times heavily been criticized by the government in the 80s and 90s of last century. They said this organization is very inefficient in their operations and maintenance. After the Dutch government sold the Lockheed P-3 Orion patrol aircraft and the closure of the Air Station Valkenburg in 2006, only the group Maritime helicopters (MARHELI) remained with about twenty one helicopters at De Kooy in Den Helder. 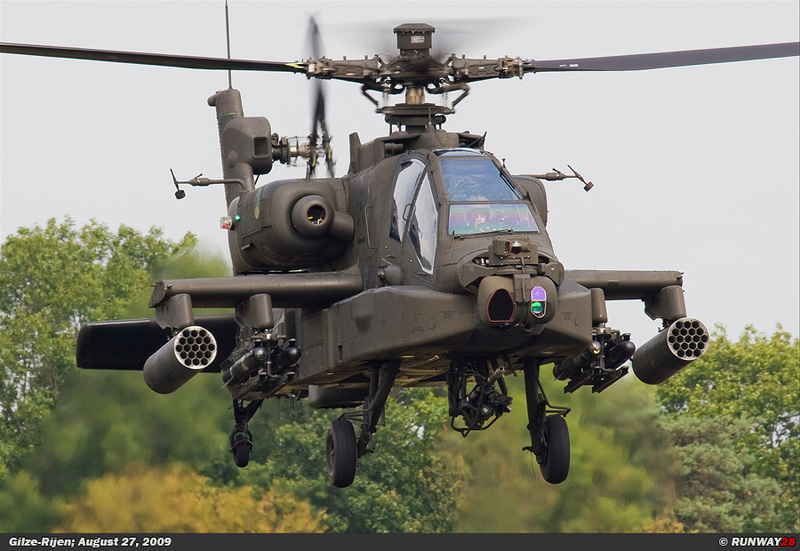 On Friday July 4, 2008 a ceremony was held and the Defense Helicopter Command (DHC) was officially established. 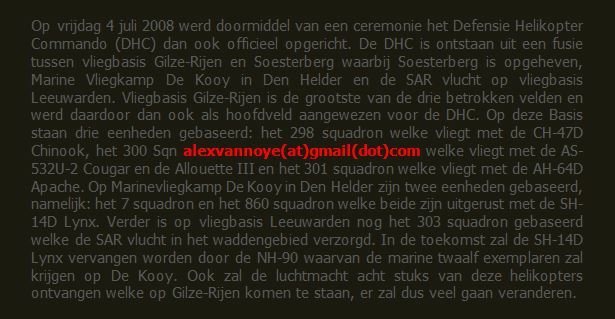 The DHC is a merge of Gilze-Rijen Airbase, Soesterberg Airbase which is nowadays closed, Naval Air Station De Kooy Den Helder and the SAR flight at Leeuwarden Airbase. 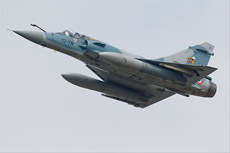 Gilze-Rijen Airbase is the largest base of these fields and was therefore also designated as the main base for the DHC. 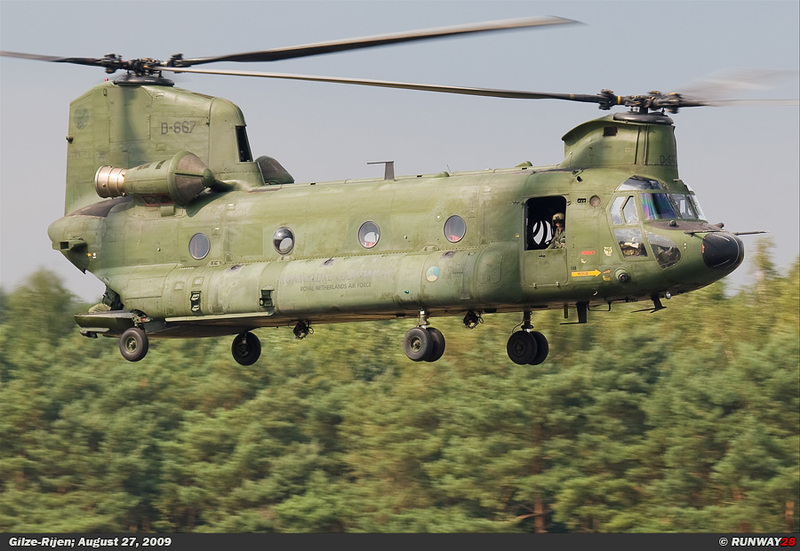 There are three units based at Gilze-Rijen, namely; no 298 Squadron which flies the CH-47D Chinook, no 300 squadron which flies the AS-532U-2 Cougar and Allouette III and no 301 Squadron which flies the AH-64D Apache. 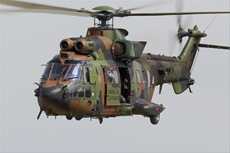 There are two units based at Naval Air Station De Kooy in Den Helder, namely: no 7 squadron and no 860 squadron which both are equipped with the SH-14D Lynx. 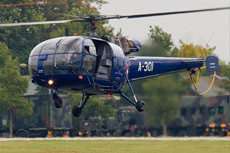 Furthermore at Leeuwarden Airbase is no 303 Squadron based; they perform SAR flights within the Wadden area. 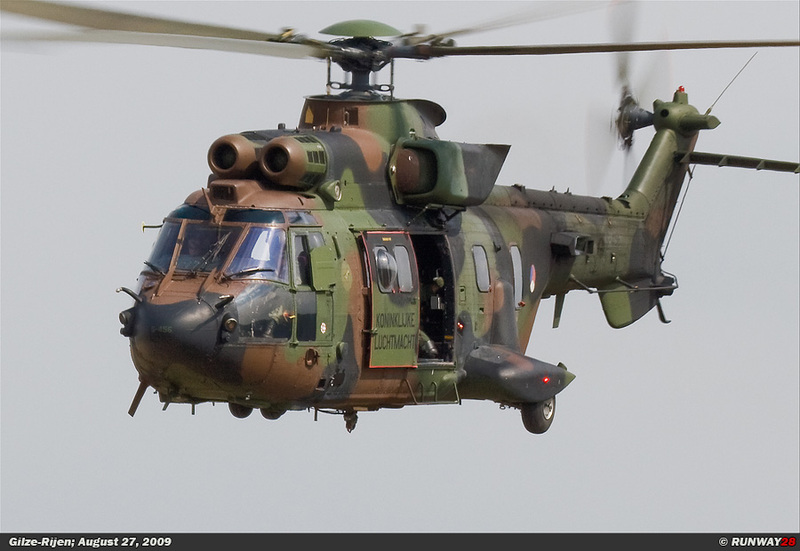 In the future, the SH-14D Lynx will be replaced by the NH-90. 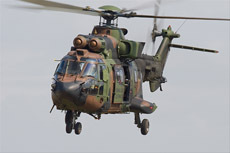 The Navy will receive twelve maritime helicopters of this type at De Kooy Den Helder. 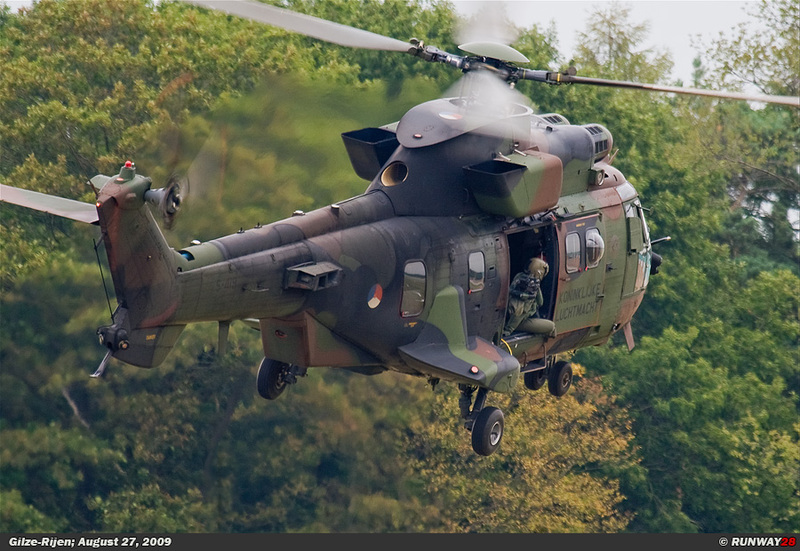 The air force will receive eight NH-90 helicopters and they will be stationed at Gilze-Rijen. 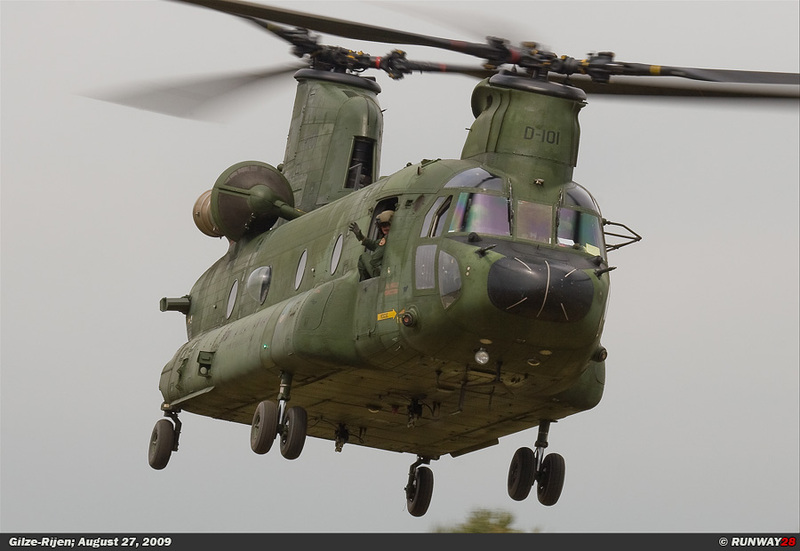 In 2010 the air force will also receive another six additional Chinooks for no 298 squadron. 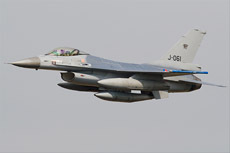 I didn't have to travel a long time for today's visit because I live just fifteen minutes away from Gilze-Rijen Airbase. 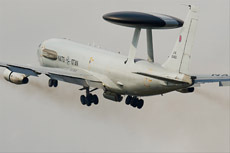 We were transported by bus to the main runway of this base when we arrived at the main gate. 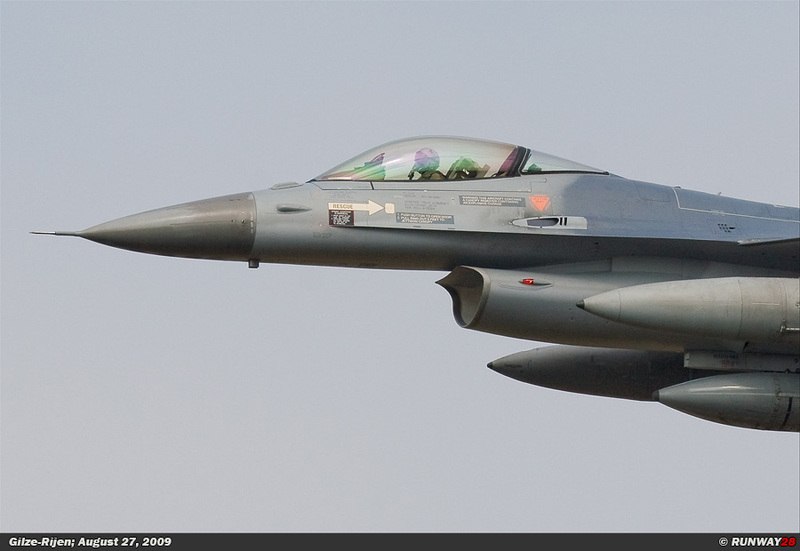 We were positioned on a hill halfway runway 28 at Gilze-Rijen. 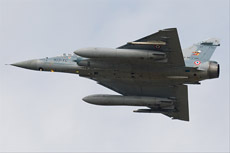 The purpose of this visit was shooting photographs and therefore we did not visit all the squadrons one by one. 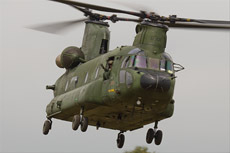 All the usual stuff began to fly when we arrived; Apache's, Chinooks, Cougars and an Allouette III were flying in the circuit. 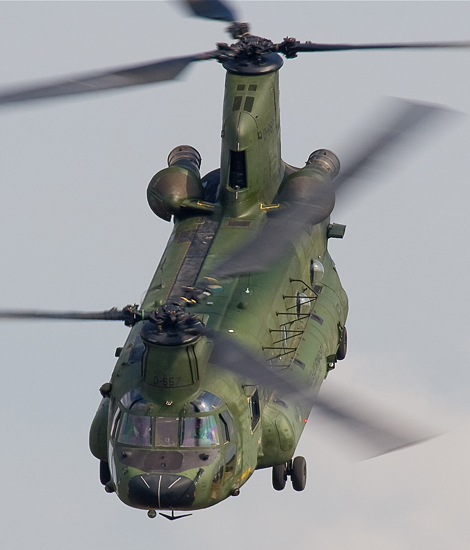 Most of the helicopter pilots were very kind and flew after their exercise along us at low level; we were able to shoot some really nice pictures because of this. 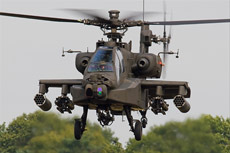 An Apache performed a very low level fly-by at full speed next to us; it flew that low it almost hit us. This was therefore the photograph of this afternoon. 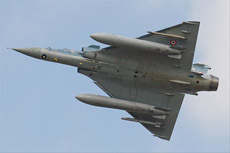 The weather improved drastically after one hour; in the morning there was some overcast. 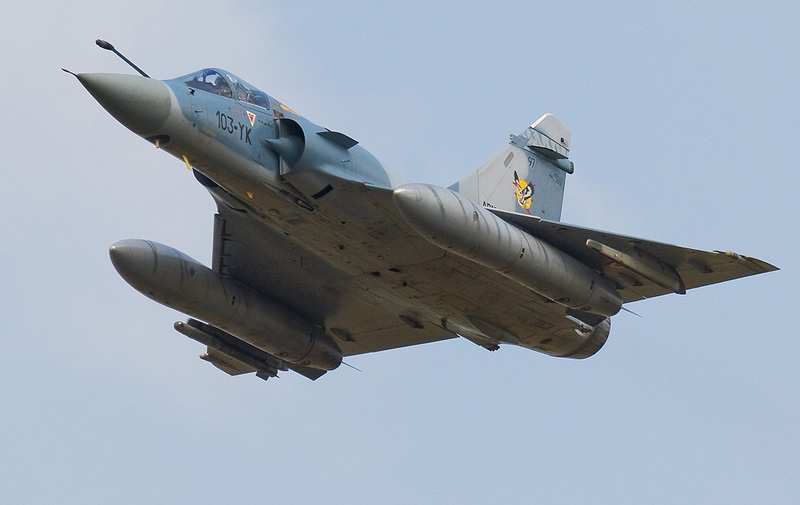 A Cougar made a fly-by at full speed with its landing gear in retracted position. This gave me some photo's which I don't shoot every day. This afternoon had a few more surprises in store. 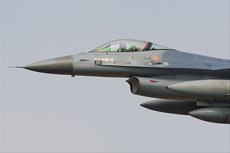 Half an hour after we arrived, two Belgian F-16's reported for and touch and go. 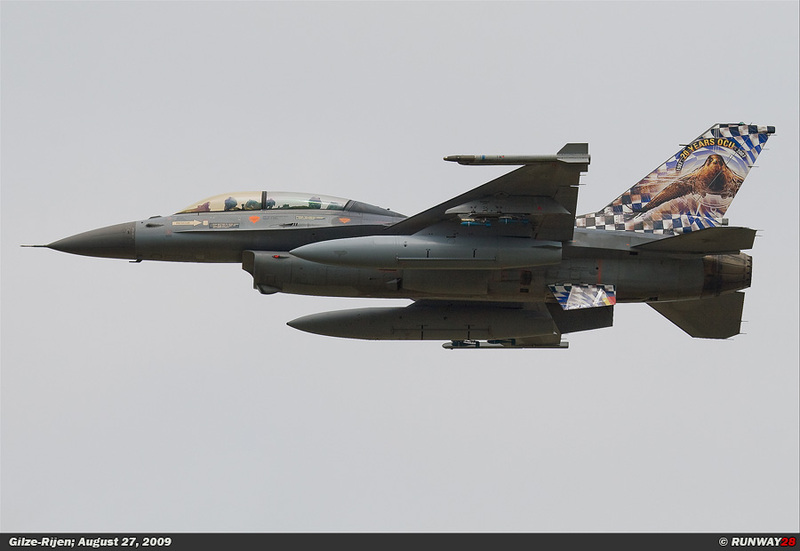 One of those Belgian pilots had his farewell at the Belgian Air Force and therefore they flew a last mission for that pilot. 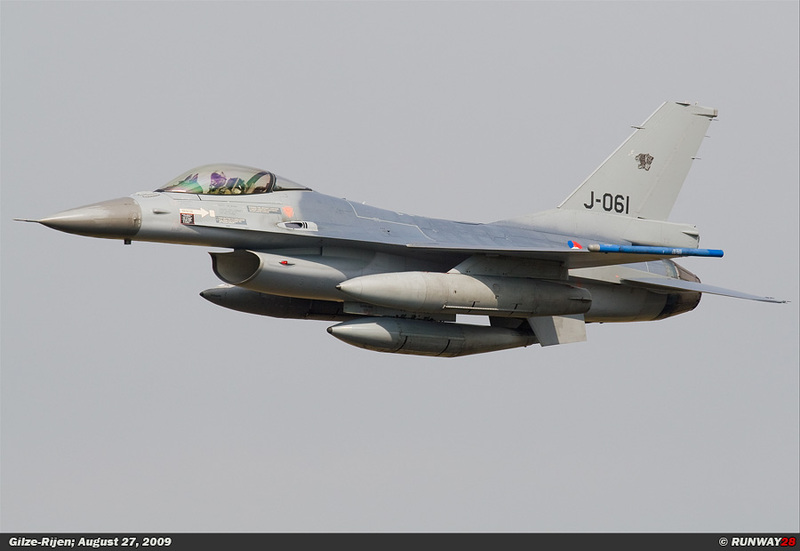 This was a nice moment to do a few approaches at Gilze-Rijen, because there were so many photographers. 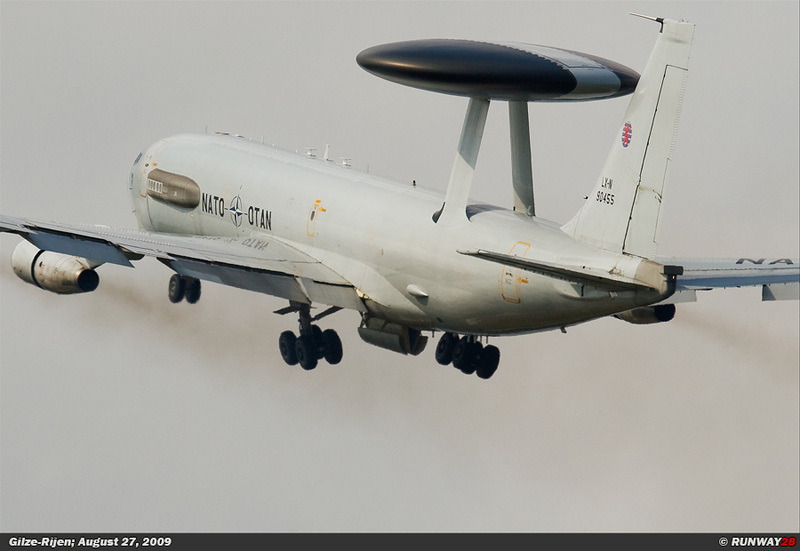 During this afternoon also an AWACS from the German base of Geilenkirchen appeared on the horizon. 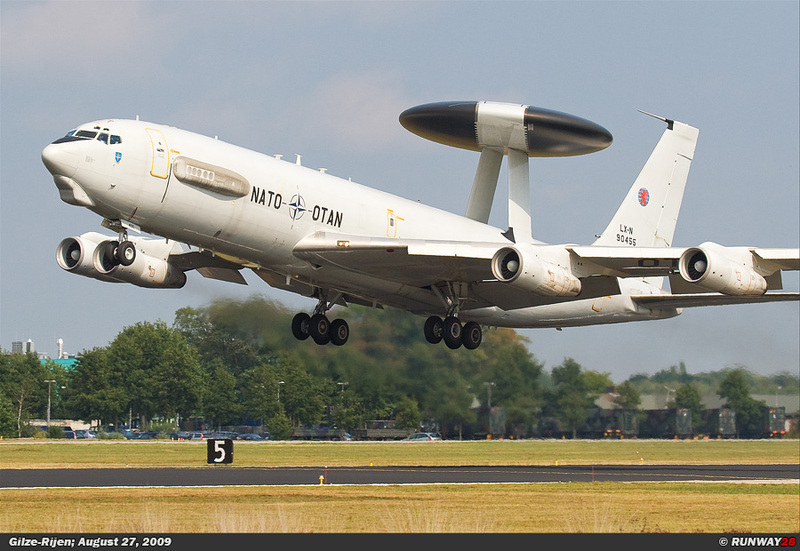 This large white aircraft made six touch and go's before it left. 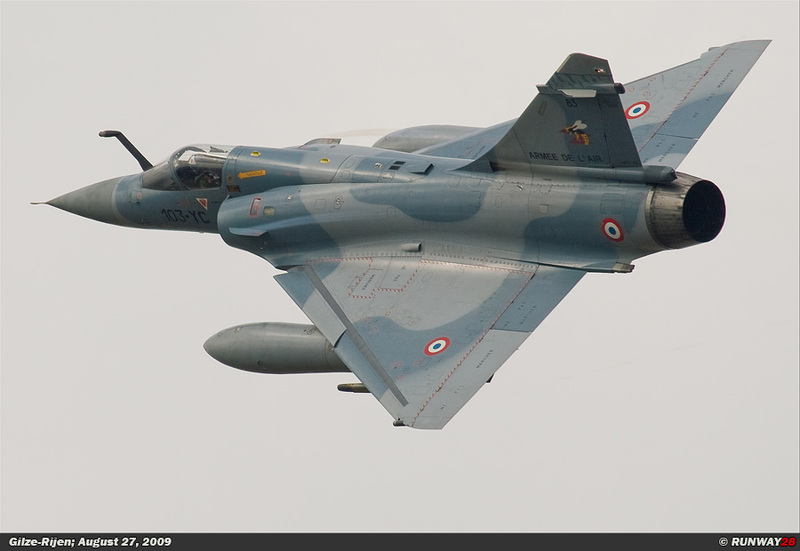 Each time it made a lot of noise when it came loose from the ground. 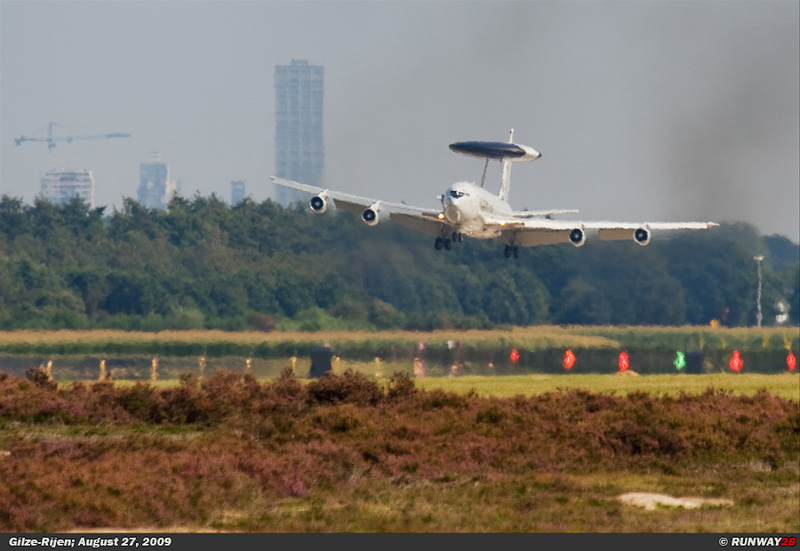 Between the landings of the AWACS two Dutch F-16s from Volkel Airbase came by and made up to three times a low approach. The highlight of the afternoon was yet to come. 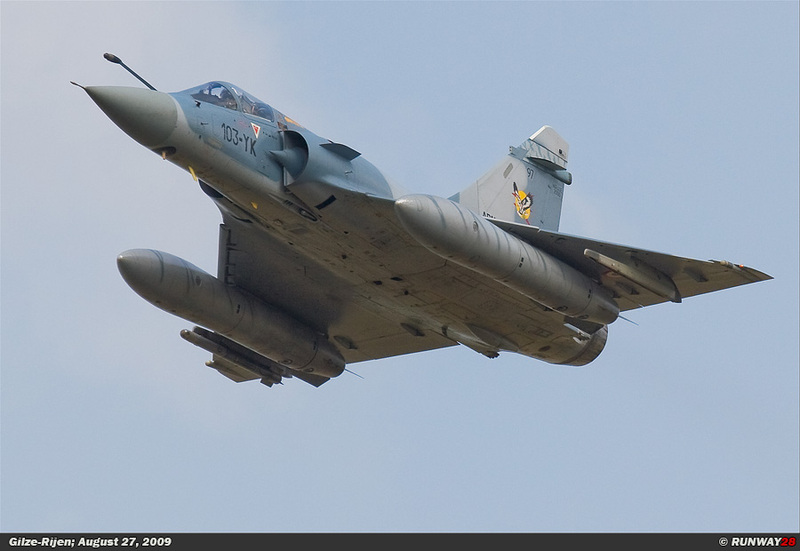 As many as four French Mirage 2000s from Cambrais Airbase would perform a fly-by. 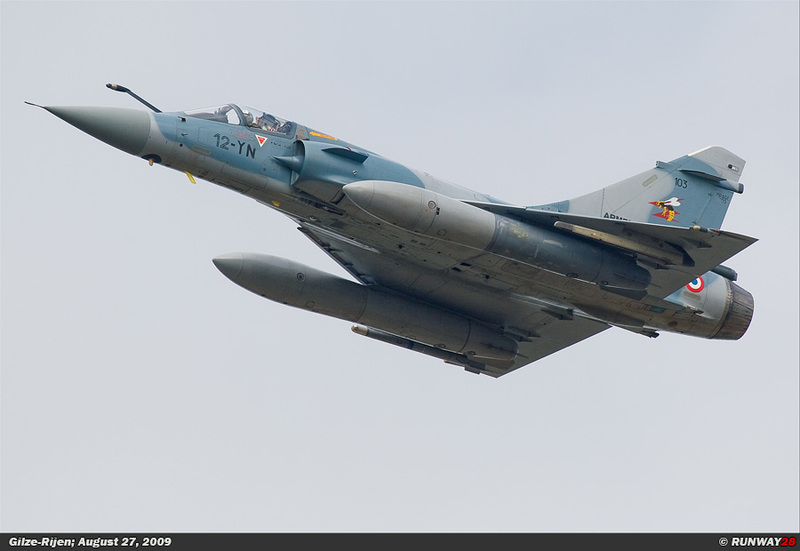 They were busy with a navigation flight over Holland; they decided to visit Gilze-Rijen during their trip when they heard about the large number of photographers this afternoon. 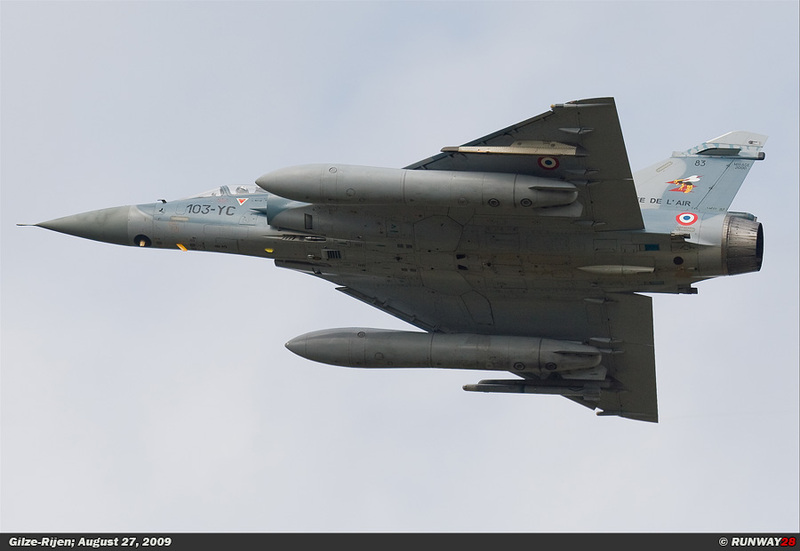 I was very pleased with the Mirage's because you don't see them often within the Dutch borders. 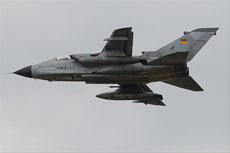 This great visit would end with the fly-by of a German Tornado from Lechfeld Airbase which is located in the south of Germany. After a beautiful afternoon at my own home base it was time to return home at four pm. Some people described this visit at Gilze-Rijen as the best visit ever to this base. Maybe they were right, because the quality of this visit was perfect; there are not many visits which are as good as this one was. I had a wonderful afternoon at the base were once in the past my passion for aviation started. I went home with many beautiful pictures on my digital photo cards.